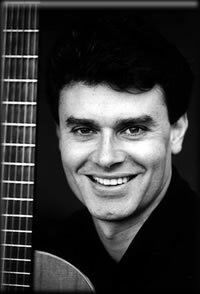 New Commission - BBC Radio 3 - Craig Ogden with the Ulster Orchestra. Ciarán has been commissioned to write a new work for Australian born guitarist Craig Ogden and the Ulster Orchestra. Following on from the highly successful recordings and performances of The Shannon Suite by Ogden and saxophonist Gerard McChrystal this latest collaboration promises to be something special. Craig Ogden is one of the most exciting artists of his generation and has performed to critical acclaim across the globe. He made his Royal Albert Hall debut with the Philharmonia Orchestra performing Rodrigo's Concierto de Aranjuez and he has now performed concertos with every major British orchestra as well as Accademia di Santa Cecilia (Rome), Riga Kammermusika, St. Petersburg Festival Orchestra, National Orchestra of South Africa, KZN Philharmonic (Durban), Tasmania Symphony, West Australian Symphony and Melbourne Symphony Orchestras. As a soloist and chamber musician he has performed at all the major London venues including the Purcell Room, Queen Elizabeth Hall, Wigmore Hall and the Barbican. He has performed at most of the main UK festivals, and is the most sought after guitarist for chamber music in the UK, performing with the Brodsky Quartet, Nash Ensemble, London Sinfonietta, tenors Mark Padmore, Ian Bostridge and James Gilchrist, Claire Bradshaw (mezzo-soprano), Paul Tanner (percussion), Gerard McChrystal (saxophone), Alison Stephens (mandolin), Judith Hall (flute) and Madeleine Mitchell (violin). His recordings have also received worldwide critical acclaim and his debut solo CD for Nimbus Records of 20th Century Classics by British composers was nominated for a Grammy Award. He has recorded for the Sony, Chandos, Hyperion, and Collins Classics labels with a discography totalling more than 16 CDs to date. A premiere date for this new and exciting BBC Radio 3 / Arts Council of Ireland funded collaboration has not as yet been finalized so watch this space for further news and up-dates.